Email done. Hands-free / eyes-free. At Speaking Email we realise you want to save time not waste it. That’s why we avoid reading out clutter. But how do we do that? We’ve now got 6 ways to keep you hearing your most important emails. Our most recent addition is a little feature we call “ignored senders”. With two taps you flag an email for ignoring and that sender will be skipped in future. It still reads out the name and then says “skipping this sender” so you are aware – and you can tap again to unignore. 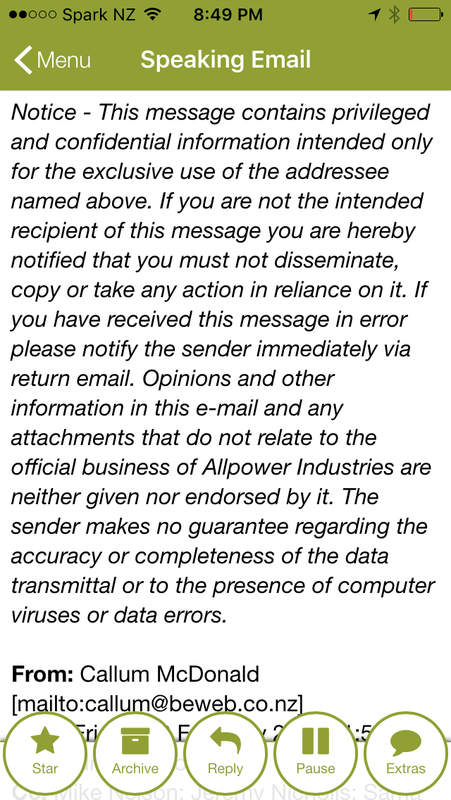 Emails often contain long threads of replies and forwards. I prefer to listen to these and then swipe next when I’ve heard enough. You may prefer we don’t read these out at all. We have a feature that looks for your name or email address within thread headers and skips the rest of the email when we have evidence this email thread has crossed your path already. This is a really nice feature for busy people listening handsfree. Within emails we detect and skip over bits of irrelevant content. This includes email signatures, legal disclaimers, footers, contact details such as phone and fax blocks, long strings of digits, IDs, URLs, characters such as ———–. If you want to hear only new emails we have two switches for this, either unread only or unplayed only. The difference is “unread” uses the server status to tell if it’s been marked as read from any mail client, while unplayed is just whether Speaking Email has read it out already. Promotional, social, updates and forums. 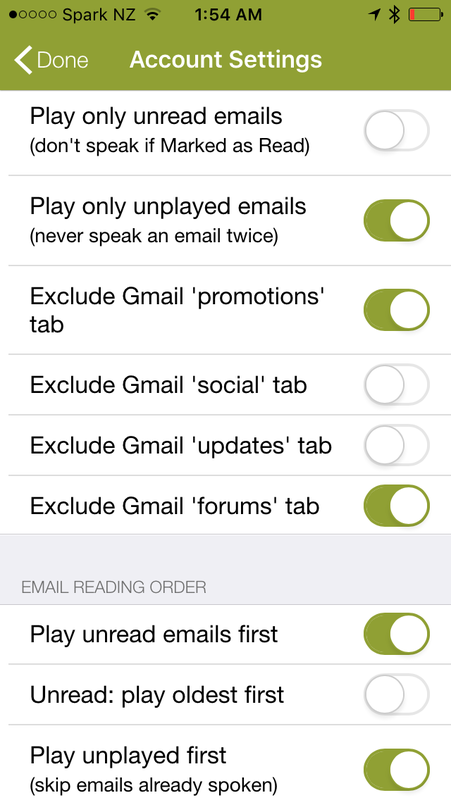 If you use gmail you can switch on or off any of these gmail categorisations in account settings. Sick of listening to junk mail and newsletters? There’s a switch to turn these off. 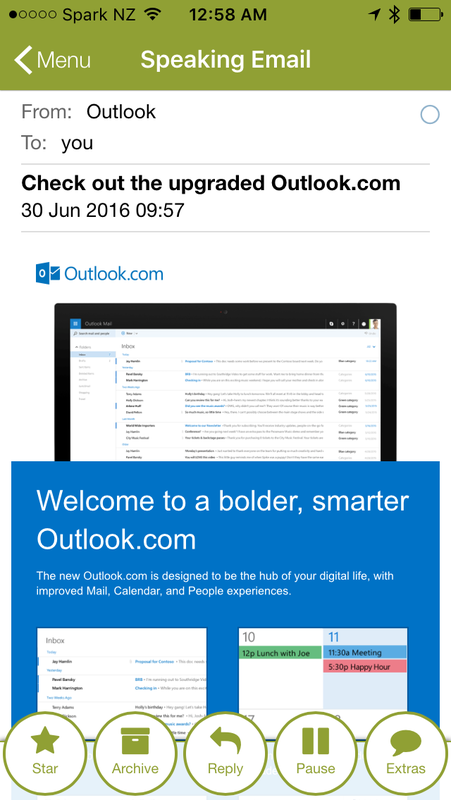 We detect promotional emails simply by looking for unsubscribe links.